Wealthy businessman Samuel Hill commissioned the Pacific Northwest version of Stonehenge in the early 1900s but it wasn't completed until 1929. It was dedicated in 1918 which was also the year that WWI ended. 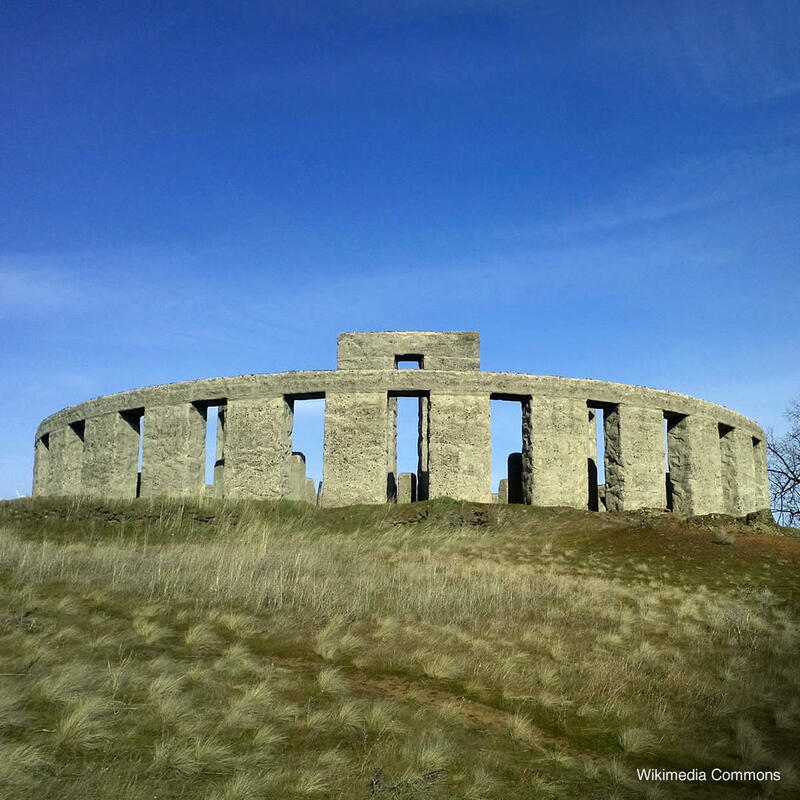 Unlike Stonehenge in England, Sam Hill's Stonehenge commemorates those from Klickitat County who lost their lives in the "War to End All Wars." Mr. Hill is buried near his Stonehenge although the extra walk to his grave is reportedly difficult.